Instituto Atletico Central Cordoba (La Liga) strengthened their roster with addition of 30-year old American swingman Rodney Green (196-95kg-88, college: La Salle). It is actually his comeback to Cordoba as he has played here before. 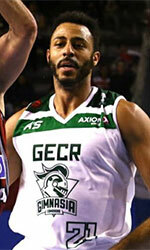 Green started the season at Guaros in Venezuelan LPB league. In 7 games he recorded 10.6ppg, 3.6rpg and 1.6apg this season. Green has tried to make it to the NBA and played in the NBA Pro Summer League in 2013. Among other achievements his team made it to the Italian Lega Due Semifinals in 2013. Green received also Latinbasket.com All-Liga Sudamericana 2nd Team award in 2018. He is a very experienced player. Thanks to Green's pro career he managed to play on three different continents (Europe, Latin America and of course North America) in nine different countries. 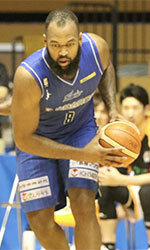 Green has played previously professionally in France (JL Bourg), Hungary (Szolnok), Israel (Galil Gilboa), Paraguay (Olimpia), Poland (Wilki Morskie), Puerto Rico (Vaqueros), Ukraine (Mykolaiv), Argentina (Lanus and Olimpico de La Banda) and Italy (Novipiu Casale and FCM Ferentino). He attended La Salle University until 2010 and it is his ninth season in pro basketball. The scouts decsribe him following way: He can spend time at all the positions from 1 to 3, but gives his best as SG. Great scorer and 1-vs-1 player, he needs to have the ball in his hands very often, but he uses it well.